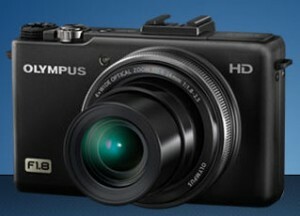 Olympus have announced the update to their popular PEN E-PL1 in the form of – surprise surprise – the PEN E-PL2. The changes come mostly in small things. The E-PL2 is the same resolution as the predecessor but will come with a new silent autofocus lens to reduce noise when shooting videos. There are new Creative Filters but most exciting is a Bluetooth accessory making the transfer of images easy. This new camera is the very interesting one for us, Olympus’ answer to Canon’s G12, Nikon P7000. What is it made of? A 10MP High Sensitivity CCD Sensor with a 4x optical zoom (28-112mm) which sports an F/1.8 aperture on the wide side. You will also find all the extras in a PEN camera like creative art filters, 720p video and access to the PEN flashes. We are itching to try this one out. Other cameras announced by Olympus include two new Tough models in the TG-610 and TG310. There is also a SP-610UZ with a smaller 22x zoom than the SP-800UZ we are busy testing. There is also an entry level VG-120 announced.